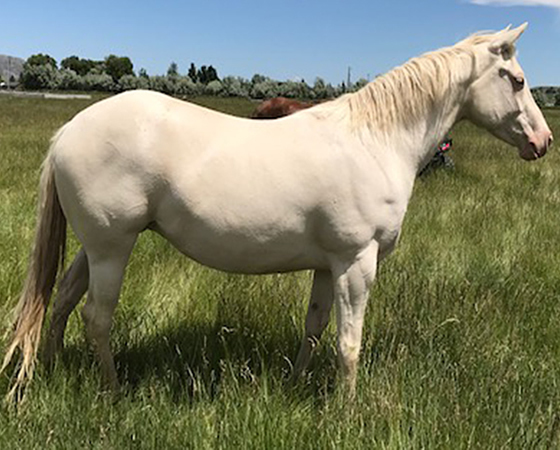 2014 AQHA 15 hand Pelino Mare. By CADYS GOLD and out of PANITA PRESITGE. 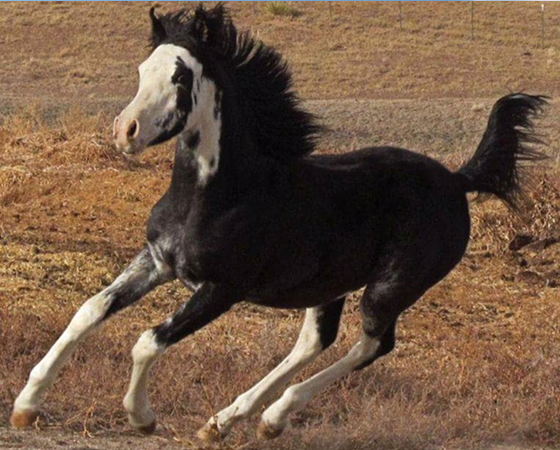 This mare has it all. Young, Great Conformation and guaranteed color producer. She will run up to the gate when she sees you. She is always happy to see you and ready for a pet. Beautiful blue-eyed girl. 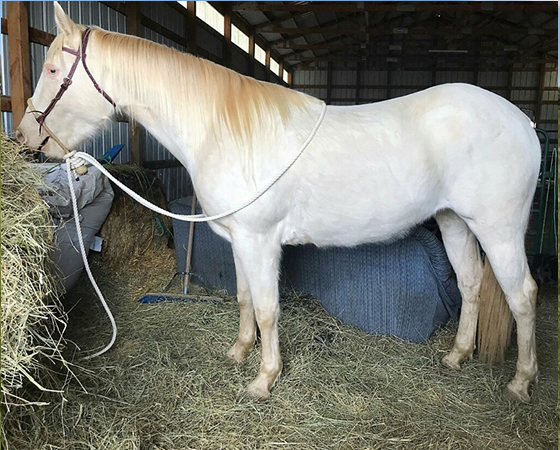 2014 AQHA 15 Hand Cremello Mare. By COWBOYS POCO LUCKY out of SAK EM CHICK. 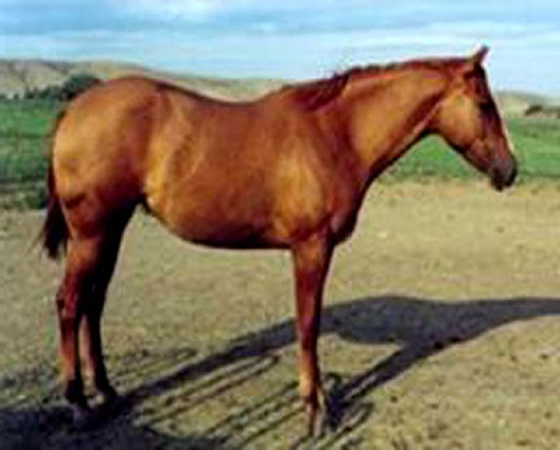 Young Mare with great conformation, nice withers and a good disposition. Sky-blue eyes and playful in nature. Always friendly and ready to greet you. 2012 Arabian 14.3 hand mare. 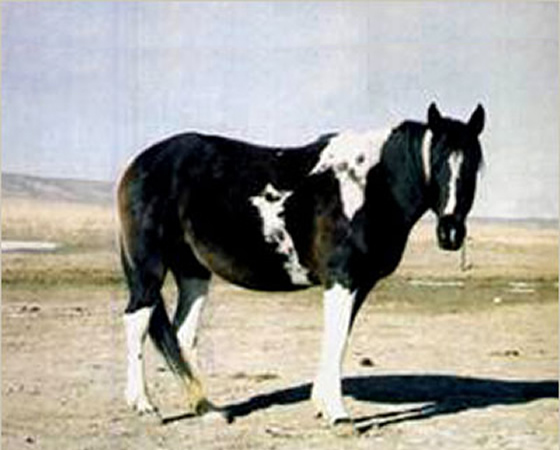 She is a rare back and white Arabian mare. Is out of LEGALLY INTOXICATING and by EBONY JADZIA. She is one of a handful in the world that can produce her color. She has realtives in endurance, cow work, the show areana and family homes. She is a beauty and extremely sweet, enjoys being mischievous. 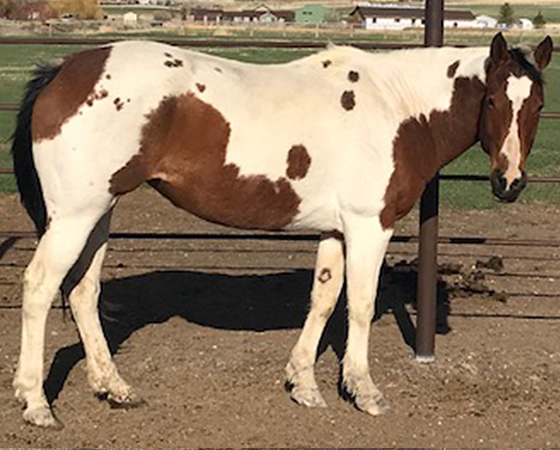 2000 Bay Tobiano APHA Mare. 15.1 hand muscular mare. By HITOO out of LIL PAINTED MEKAH. She will put size on a mule without the heavy bone and bulk. She’s a gorgeous girl with great markings. 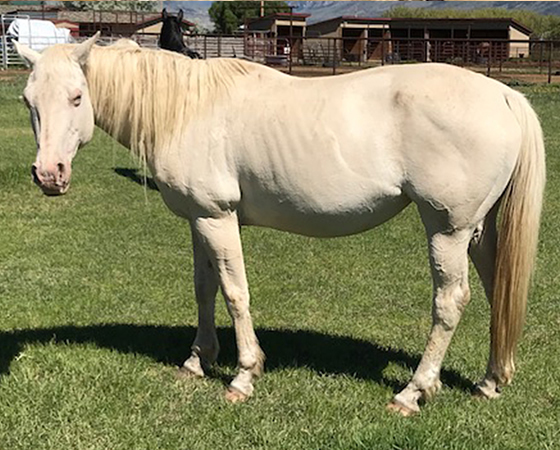 1996 14.1 Hand Cremello APHA Mare. By WIGGY SMOKE out of BOSTON FANCY CHICK. Great smaller mare put together nicely with good withers. She is a sweet, gentle girl. Even tempered and a bit curious. This is a very classy filly. She would make a great addition to any show string. Hobby is a very fluid mover with very elegant gaits and smooth transitions. She stands 16 hands tall. This mare is kind and loving and a pleasure to work with. We have had great success in producing excellent mules with this type of mare. We think that this filly will be the ultimate mule producing mare when mated with Diamond Creek Major. Pepper tested Homozygous. She throws some good sized pretty foals with color. Diamond Creek Jag and Diamond Creek Legend are two to watch for. You can now pay your mules purchase deposit or training fees by credit card Online using PayPal. Go to our Payments Page. All prices include 3% credit card fee. Please include your name, address & phone on your payment.